We pulled out the sweaters, the coat and often before leaving home we take the umbrella. Somewhere the first snow has already fallen and some radiators are on again. The cold season is upon us, it’s time to plan your next winter holiday! And nothing is better than an Igloo for enjoying the winter wonderland! 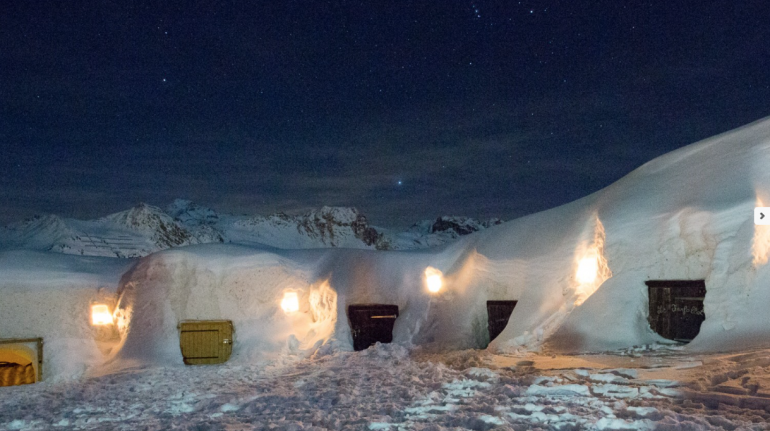 Sleep in an ice house, surrounded by the snow and the mountains, with over a sky as starry as you’ve never seen it before: what do you think? Every year they are built to withstand safely all season with methods and advanced technologies; then, when it’s hot, they disappear without a trace. 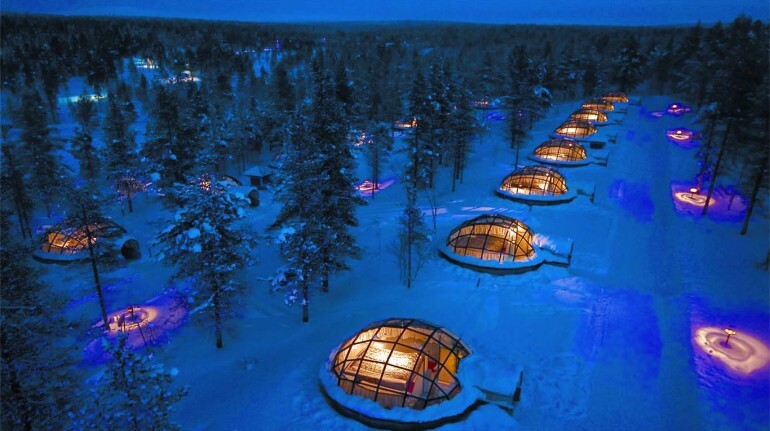 Here exclusively for you the 16 best and environmentally sustainable Igloo resorts in Europe! For those who want to go in Italy we recommend this beautiful South Tyrolean sustainable retreat. 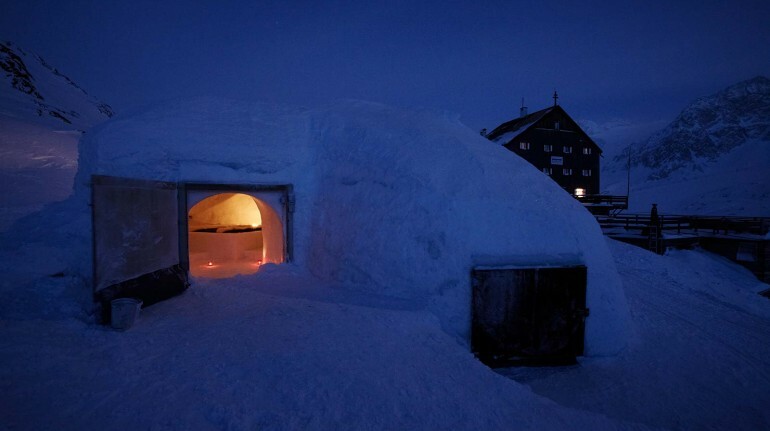 Why we like it: three beautiful ice igloo and th highest sauna in Europe, do we need to say more? Our advice: Near the Refuge Bella Vista there are many paths. If you are equipped with the right experience and the right equipment you can reach the tops of the near mountain, such as the Similaun, the Cima Finale e the Palla Bianca. 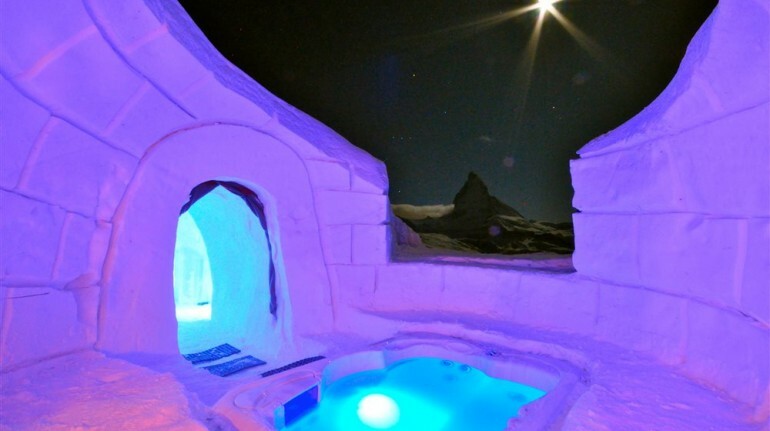 In the Bernese Oberland, just a few steps away from the beautiful Thun, there’s a resort made of ice and snow. Why we like it: for its location, perfect for a vacation between the mountains and the towns of Switzerland that will leave you spellbound. Our advice: a short walk from the tourist village you will find the Lake Hinterstockensee, discover it with a nice walk by snowshoes! 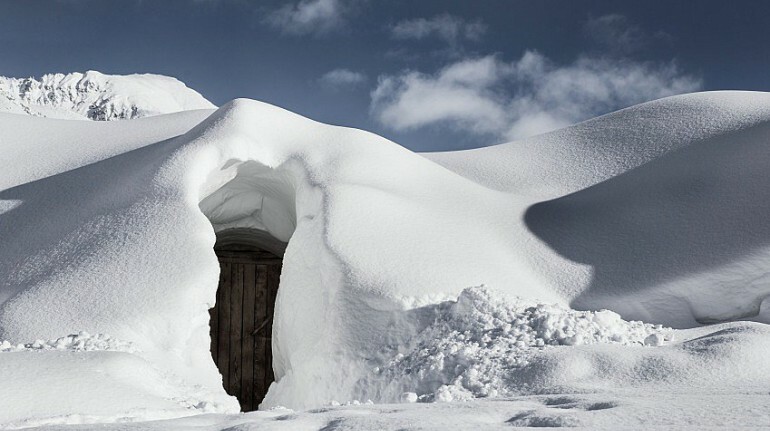 On the highest peak of the country you will find one of the six seats of Iglu-Dorf. Why we like it: for its beautiful pool surrounded by an indescribable nature, ideal for relaxing after a ski day. Our advice: do not miss the nearby town of Grainau where there are two wonderful mountain lakes. If you are looking for a luxury destination, choice even by VIPs, the Igloo Gstaad are perfect for you! 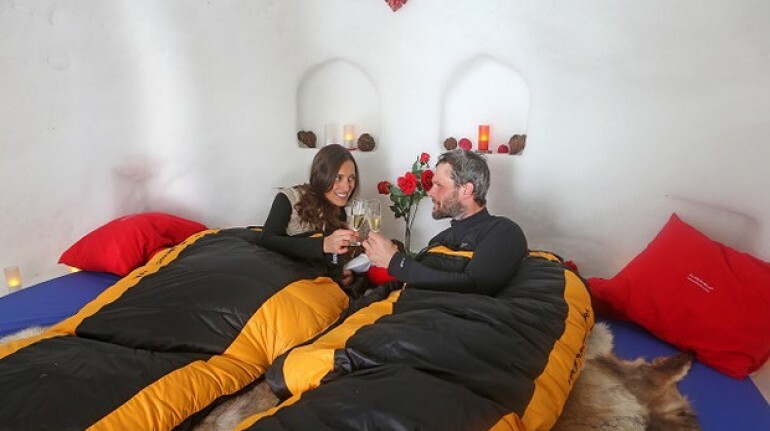 Why we like it: for its Romantic Igloo Suite, where you can live an unforgettable experience of luxury with private Jacuzzi with panoramic views. Our advice: try the typical winter sports of the region, the Eisstock! 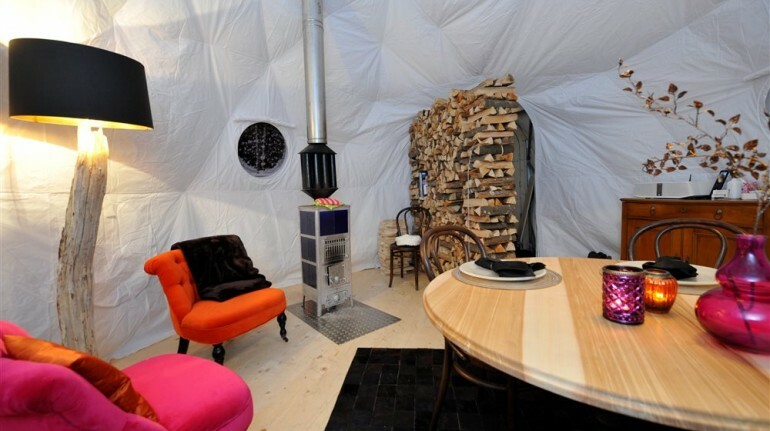 Even in the French Alps, you can enjoy a few days living in an igloo. Why we like it: the delicious fondue that you can enjoy at dinner and the beautiful landscape. Our advice: Chamrousse is a paradise for skiing lovers with its 100km of slopes. Just two hours from Barcelona, ​​there’s the only Spanish headquarters of Iglu-Dorf. Why we like it: for the beautiful sculptures with which every year many world famous artists decorate the igloo transforming them into magical worlds. Our advice: Andorra will surprise you with its many activities: from the trails on horseback to snow bikes! The seventh village is located near the largest and highest ski area in Europe. Why we like it: waking up with the view of the Matterhorn is an experience like no other! Our advice: in Zermatt the Haute Route ends; it’s the path doable by foot or skiing which connects with 180km Mont Blanc to the Matterhorn. The bravest will reach the village with a 12-day journey. If you want to discover the Central Swiss Alps, you are in the right place! Why we like it: for its beautiful location, near the shores of Lake Trübsee. Our advice: you’re afraid of the cold but you want to try this experience? 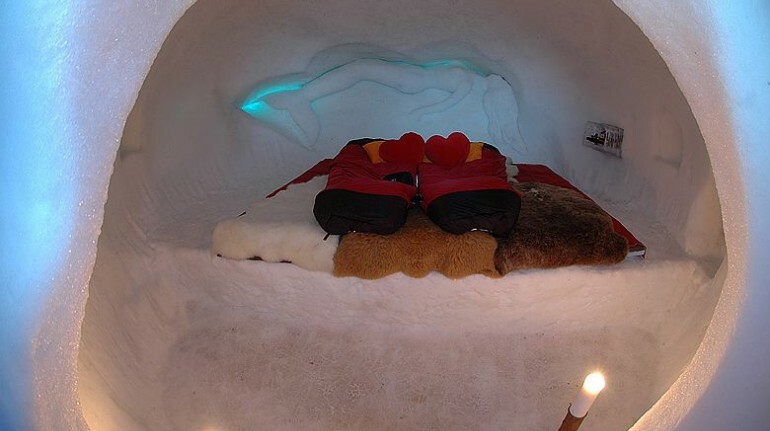 The Igloo Village Engelbert offers to its guests a special heated igloo! 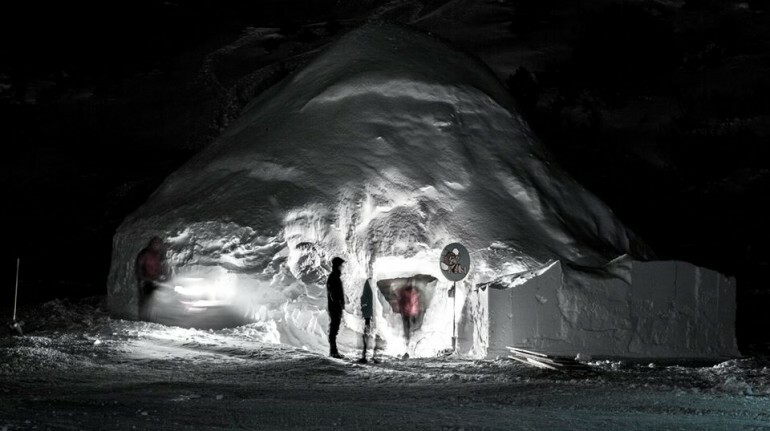 In one of the most important ski centers in the world, in La Plagne, an ice hotel can’t miss. Why we like it: for the wonderful view of Mont Blanc. Our advice: discover the nearby Plagne Montalbert (1350m), a charming village on the outskirts of the forest. The popular resort of Grisons is the highest town in the Alps and one of the leading ski resorts in Europe. Why we like it: For the sauna that’s included in the price, along with many other services such as the walk by snowshoes and a welcome drink. 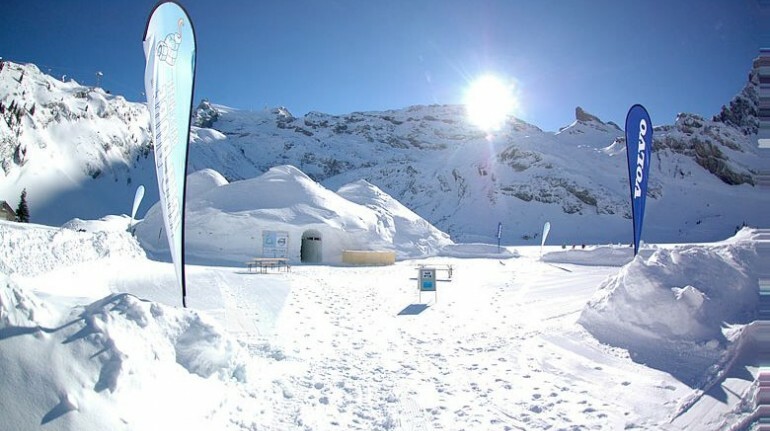 Our advice: Discover the largest natural ice rink in Europe for skaters and curling players. 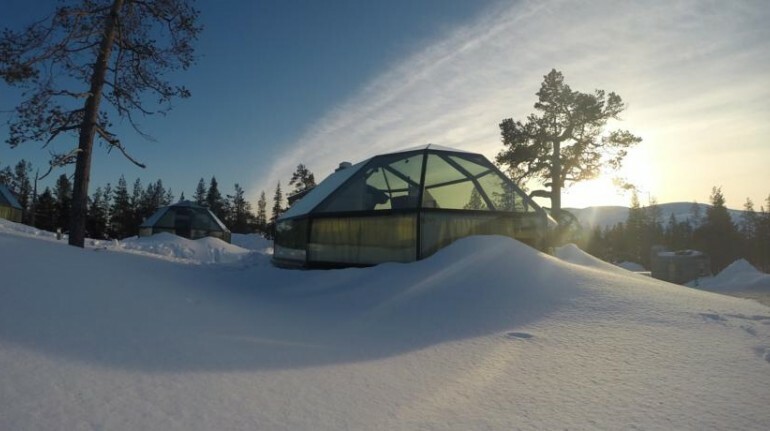 A magical world to the ends of the earth: in Lapland a resort with ice igloo, igloo glass and wooden chalets with private sauna awaits you. Why we like it: For the Northern Lights that you can see from the igloo of ice, that are one of the most incredible natural phenomena in the world! Our advice: Don’t miss the chance to experience the safari with huskies or reindeer! 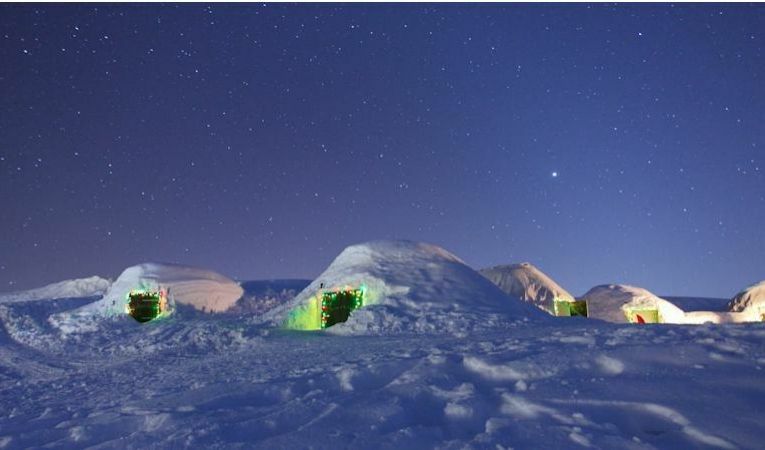 In the second largest ski resort in Slovenia you’ll find an igloo village with ice houses for groups or couples. 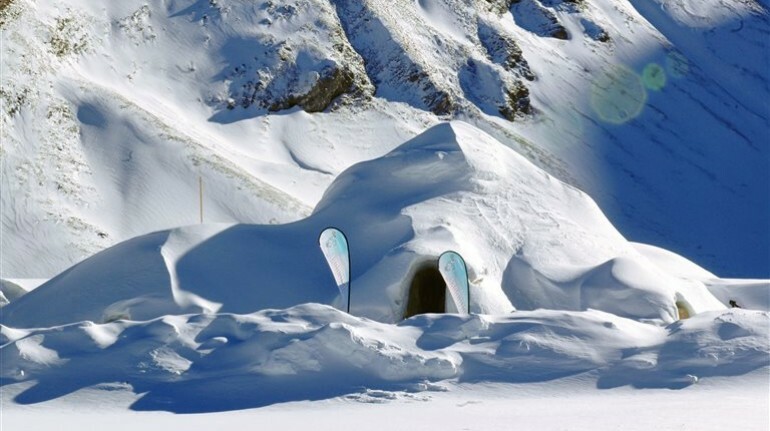 Why we like it: For the location and the restaurant Igloo where you can enjoy traditional Slovenian sausage. Our advice: This extraordinary place is perfect for birthday parties, anniversaries and even weddings! This fabulous world of ice and snow on the Kitzbühel Alps will enchant you. Why we like it: For the beautiful works of art made with the ice that can be found in the village. 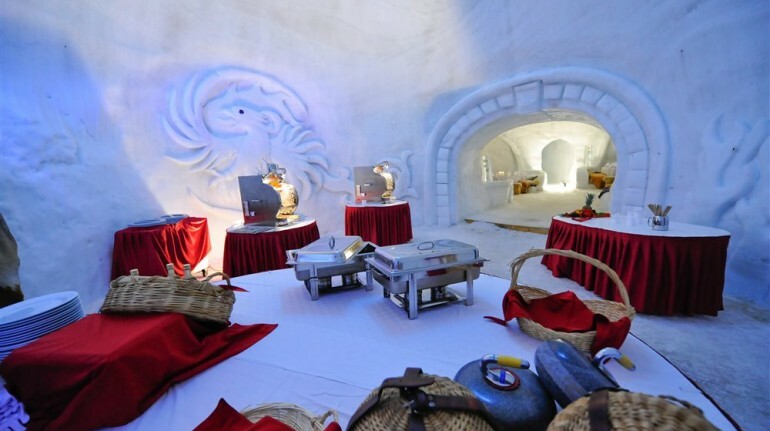 Our advice: Between animation and tables of ice, do not miss the Igloo Bar where you can enjoy a drink from ice glasses. Our advice: It’s easy to reach without a car, it’s only 35km away from Innsbruck. Ten km away from the largest Finnish ski resort, you can experience the unique Arctic environment. Why we like it: : From the glass igloo the view is spectacular and indescribable. Our advice: Find out what is the best time to admire the aurora borealis. The first Snow Village of Austria offers the magic silence at 2000m above sea level. 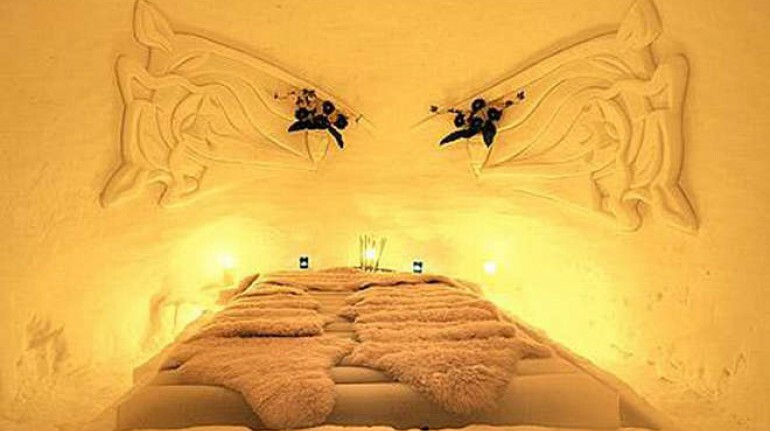 Why we like it: culptors of snow create amazing works of art on the walls and ceiling of the igloo. 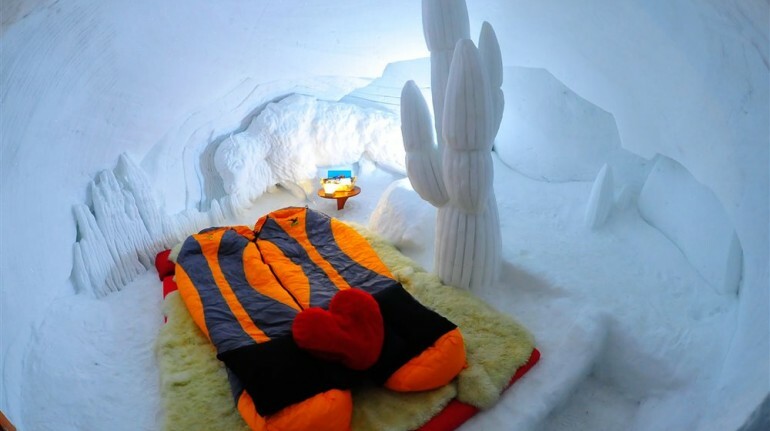 Surprise your kids or your loved one and live the unforgettable experience of sleeping in an igloo made of snow and ice! Natural Skiing, Dog sledding, or Tobogganing? This entry was posted in green hotels and tagged Alps, Bella Vista Refuge, car free holidays, Christmas, eco hotels, ecotourism, France, Germany, Igloo Village Andorra, Igloo Village Blacksheep, Igloo Village Blacksheep La Plagne, Igloo Village Davos, Igloo Village Engelberg, Igloo Village Gstaad, Igloo Village Stockhorn, Igloo Village Zermatt, Igloo Village Zugspitze, Italy, mountain, nature, new year breaks, responsible tourism, slow travel, South Tyrol, Spain, Switzerland, Trentino Alto Adige, winter. Bookmark the permalink.